That's according to Spanish news outlet Don Balon who say Zinedine Zidane is keen on the PSG star. Manchester United, Arsenal and Liverpool were all linked with raids in the summer. But a transfer failed to materialise and the German international remained with the Ligue 1 heavyweights. Real have suffered a frustrating start to the season - although they did manage a 2-1 win over Alaves on Saturday. Don Balon say Zidane will source attacking reinforcements in the New Year as he looks to defend his team's La Liga title. The French chief offloaded Alvaro Morata and James Rodriguez in the summer but didn't buy any adequate replacements. Draxler has fallen down the pecking order at PSG following the arrival of Neymar and Kylian Mbappe. And Don Balon reckon the Qatar-backed club might be tempted to cash in. 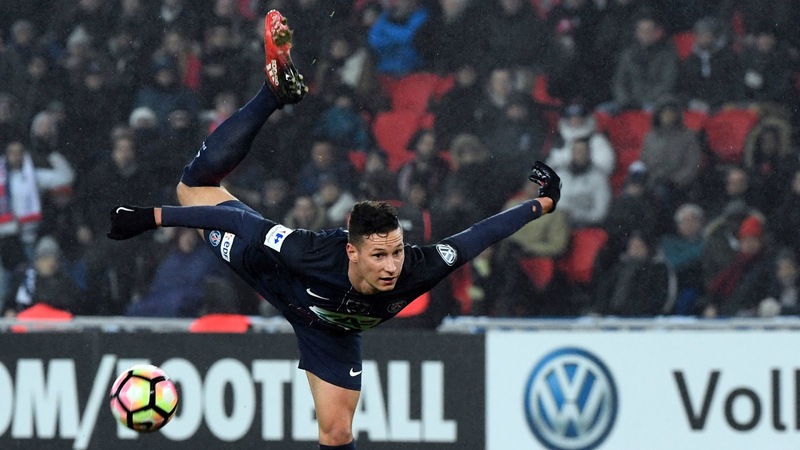 However, speaking last month Germany coach Joachim Low insisted Draxler wasn't leaving PSG. He said: "I know for a fact that Paris don't want to sell him. They are convinced of his outstanding qualities." Since signing for PSG from Wolfsburg in January, Draxler has made 17 appearances and scored four goals.